As China's major cities continue to blossom at an unprecedented rate, out in the countryside, it is a very different story. To the rich businessman, the Chinese farmer has become, quite literally, the poor and increasingly bitter relation. And since the 900 million farmers constitute about 80 per cent of the population, China has quite a problem on its hands. Many farmers, financially crippled by tax demands, have left their land to seek their fortunes in the cities. At least 15 million are estimated to have migrated since the late 1980s. The incentives are obvious ? China's urban worker's average wage is now 1,800 yuan, the rural worker's only 780 yuan ? and since the lifting of inter-regional travel restrictions, the shift has been seen as inevitable. Added to the farmers' grievances, has been the non-payment of IOUs, issued when the state buys its grain quota. Reports earlier this year have estimated that as much as 2.75bn yuan (approximately US$0.47bn) was owed in the nine main grain-producing provinces. The frustration this has caused has erupted into angry and violent outbursts by the farmers, especially in Sichuan province, where last month police used teargas to break up mobs of rioters. The unrest has not gone unacknowledged. Hasty pledges have been issued by the new agricultural minister, Liu Jian, to punish local officials who are discovered to be issuing IOUs, as well as to investigate further the possibilities of alleviating the farmers' financial burdens. A recent announcement that 43 of the rural duties are to be abolished is seen as the first stage in lightening the load. Acknowledgements of the severity of the problem have come from higher up, too. Speaking at the National People s Congress, prime minister, Li Peng said that the countryside had "quite a few problems that could not be ignored," proclaiming that, "governments at all levels are expected to address these problems." In March, the communist party and the state council issued an order that fees chargeable by a township or village should be limited to 5 per cent of a farmer?s income. This, however, is likely to prove almost impossible to police. The national budget this year has also provided for a 9.3 per cent increase in investment in agriculture to 42bn yuan. However, with gloomy grain forecasts and a loss of at least 1.6m hectares of farmland to industrial parks and development zones, it is generally felt to simply not be enough. The industry's overall growth for this year is estimated at a disappointing 3 per cent, compared to 1992's 6 per cent. Industrial production, in contrast, is expected to rise by 19 per cent. The disparity has not always been so pronounced. When China first launched its reforms in 1978, the farmers were the first to benefit. Managerial decisions in farming communities were decentralised to the household, stimulating the growth of the free markets. "Output growth boomed as the rural economy 'caught up' to its production possibilities," says a recently published report by OECD Development Centre, called Policy Reform, Economic Growth and China's Agriculture. But, the report goes on to argue that these reforms have triggered the need for further reforms that have not as yet, been issued. The stimulation of the free markets, says the report, has caused the state to lose control of its price structures, has generated the wholesale trade, and has encouraged specialisation and regional diversification of production, based on comparative advantage. These developments in turn have led to inter-regional competition, and local authority re-regulation as a measure to protect its own industries. This swing from reform to re-regulation has meant that the development of the market system in agriculture has not been permitted to run its own natural course. Several requirements are highlighted by the OECD, as suggested effective reforms. These include developing more secure land tenure and transfer arrangements to facilitate structural adjustments in agriculture, in the wake of the rural industrial boom, as well as such things as the provision of further access to new varieties of grain and technical input to raise yields. Perhaps most importantly, it suggests that the government hierarchies change their structures and adjust to using indirect methods to influence market systems without preventing them from performing their required functions. The study concludes that further reform of agricultural product pricing and the international trade system in the short term would raise China's self-sufficiency. However, in the longer term, this will drop as China experiences a rural industrial boom ? which will draw resources from agriculture ? and a subsequent decline in the share of agricultural products in exports. The consequent reliance on international markets will tend to encourage further reforms, which should include liberalisation of both external trade and the exchange rate regime. 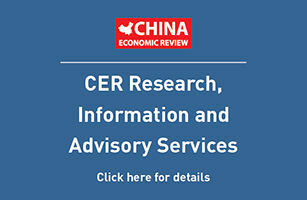 Policy Reform, Economic Growth and China's Agriculture is available from the OECD Publication Distributors, price US$23. * Sugar prices have been fluctuating wildly on the Chinese market, according to a report in the China Daily. Following several months of drops caused by excessive supply, sugar prices recovered in April, with a monthly increase of some 100 yuan (US$17.20) a ton, according to the Ministry of Internal Trade. Sugar output in the 1992-1993 sugar-producing period saw a decrease of 484,000 tons compared to the previous year. * The Asian Development Bank has approved a US$406,000 technical assistance grant to China to study the feasibility y of a Fujian Soil Conversion and Rural Development Project. The grant will be financed from the Japan Special Fund. The Food and Agricultural Organisation (FAO) of the United Nations will also provide a grant of US$134,000 to meet part the cost of the technical assistance. Fujian province suffers from an acute shortage of arable land, 80 per cent of its land being mountainous or hilly, and 10 per cent covered by inland water bodies. * China's farm machinery industry is suffering from lack of demand, says a survey conducted by the newly-established Machine-Building Industry Ministry. Officials are reported to blame the unsecured IOUs to farmers, the rise in diesel fuel prices and the country's inadequate repair network for farm machines. The Ministry of Agriculture announced last month that 43 public duties imposed on the rural community would be cancelled, says a report in the China Daily. The ten year old duties, which demanded regular cash payments or labour contributions by farmers, included a variety of communal projects such as training of militia, building of schools and offices, and the development of health, energy, environmental, cultural and social welfare projects. "All such duties demand farmers to offer their service or money, which has brought excessive burdens on farmers and interfered with normal agricultural production," the paper quotes a ministry official as saying. "The increasing financial burden was caused both by the self-concern of some departments and by the over-estimation of farmers' current wealth," he said. A new report published by Rabobank on the international rice trade highlights the importance of the Chinese rice production. China currently produces 35 per cent of the world's rice, though at present rice exports play no significant role in the country's economy. If China were to put just one per cent of its rice production on the market, says the report, total world trade would rise by 10 per cent. Grain production, 43 per cent of which is rice, is extremely important in China, constituting two-thirds of total arable crops. A major change in the market has been that in 300 regions of 16 provinces, prices are now completely determined by supply and demand and are no longer controlled by the state. Further structural changes in China could have significant repercussions, not just for the Chinese market, but for the world's rice production as a whole. A lower world market price may encourage Chinese growers to switch to more profitable crops, such as citrus, vegetables and cotton. A higher price, on the other hand, could provide an incentive to expand production.